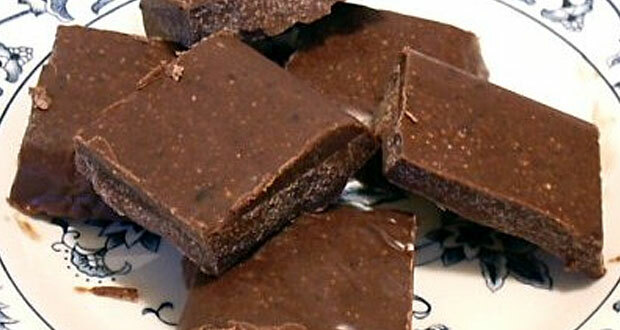 A day just insn’t complete without a daily dose of chocolate especially when it is low carb. Bear in mind that a serving is only two little squares. One could easily eat the whole batch but regret all those carbs, especially if granular Splenda is used. When tasting the mixture before freezing it, it tastes extremely sweet. However, once it was frozen much of the sweetness disappeares. This is very easy to make for a low carb candy. Experiment by adding shredded coconut or chopped nuts. * If you use refined coconut oil, it won’t have any coconut flavor. In a small bowl, microwave the coconut oil about 30 seconds on HIGH to melt. Whisk in the peanut butter then the cocoa. Add the Splenda to taste. I recommend starting with about 1/4 cup and add more if you think it needs it. Pour into a small nonstick foil-lined container and freeze until solid, about 20-30 minutes. Gently cut into squares with a thin, sharp knife. Store in the refrigerator or freezer.